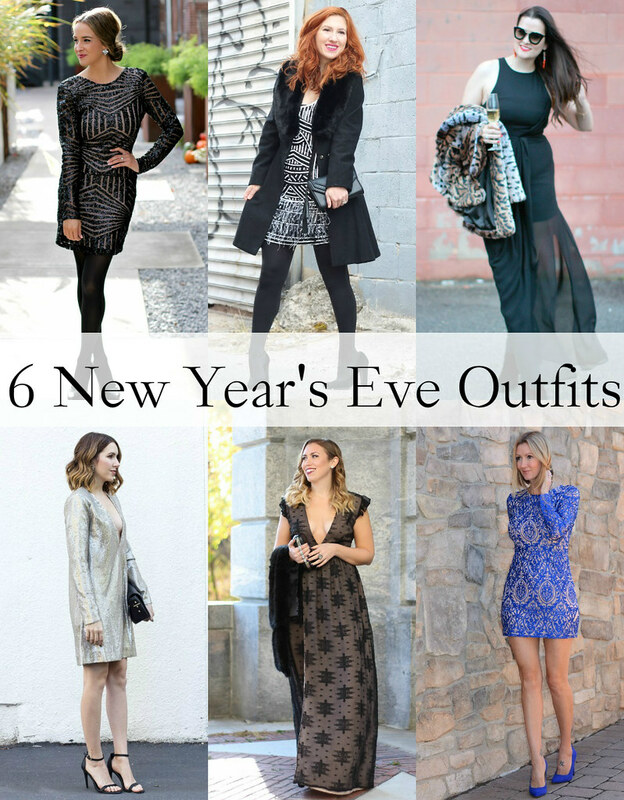 This year I'm switching up my typical New Year's Eve outfit post in favor of something a little more dressed up! Every year I opt for a short sparkly party dress, but this year I'm going the black tie party route in this AMAZING gown with a plunging neckline! But since this glam gown isn't appropriate for everyone's NYE plans, I'm teaming up with my #Styled6Ways ladies to show you six outfits that should cover all the NYE style bases! What's even better is that these six amazing NYE dresses are available right now for you to rent to ring in 2016!! Let's be serious what you wear on New Year's Eve has a slim to none chance of being worn during any other time of the year so why break the bank and spend a ton of money on a dress you're only going to wear once! Thanks to The Stylist LA you can rent one of their amazing dresses at an extremely affordable price and just send it back when you're done wearing it! Trust me when you show up to the party in one of these dresses, your friends will be so jealous they didn't think of it first. This gown was a dream to wear, it was super comfortable, SO flattering and the details are just amazing. The cap sleeves and open back were probably my favorite part of the design, but the plunging neckline and extreme slit definitely stole the show! I would rent this again in a heartbeat for a black tie affair! I love how the one year I decide to go with a long dress (which is way more practical than a short dress in late December in New York usually) Mother Nature decides to throw us for a loop and give us 50-60 degree temps for pretty much the entire Holiday Season! I also would never dream of wearing open toed shoes on New Year's Eve, but that could very much happen this year. The Holidays are here... catch up on my Holiday Posts & follow my Holiday Style Pinterest Board for what to wear, how to decorate & everything in between!